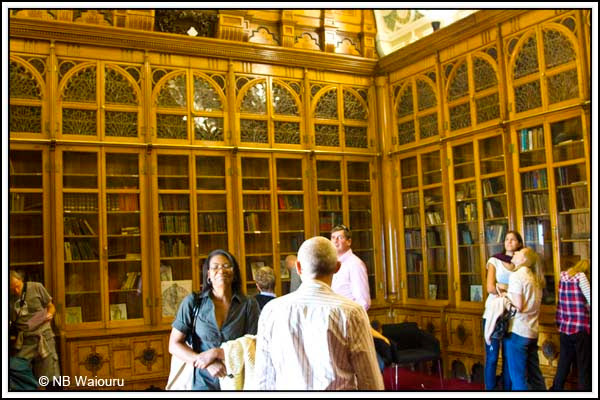 Nick Norman (nb Telemacus) left a comment on our blog post about the library in Birmingham. Apparently it was only opened very recently, which probably explains the crowds. The thing I didn’t mention on the post was what can be found at the very top of the new library. OK, there is a garden and great views of the city. 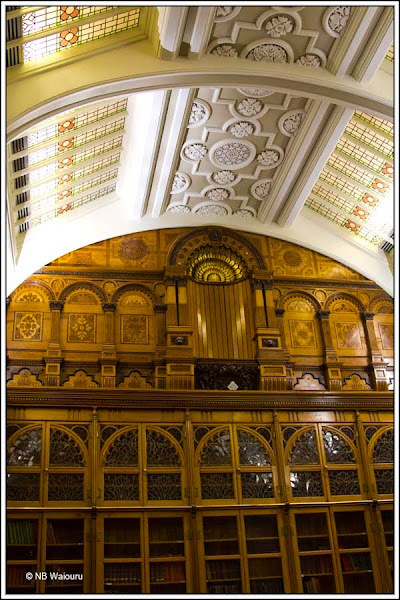 But inside they have rebuilt the original Birmingham City Library. We filled the water tank at the Camp Hill CRT facilities block before heading south down the Grand Union Canal. The two boats under the blue tarpaulins to the left appear to be on the 24 hour moorings. The boater was friendly and I suppose he should be located in a locked fenced compound with all the necessary facilities. It looked like he even had free CRT electricity. 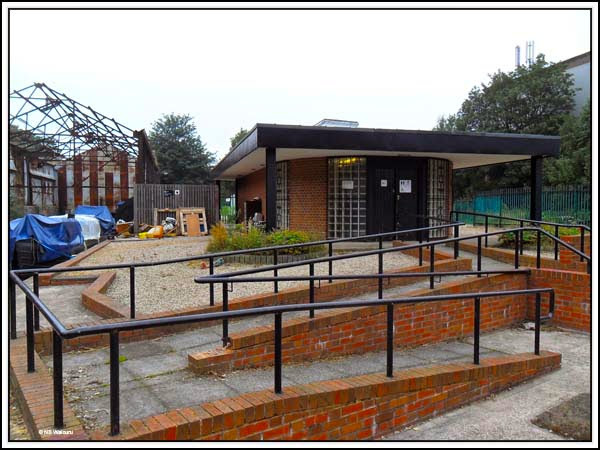 Jan had a chat and was told he had CRT permission to moor and had been there for three months. Unfortunately it means the only decent vacant mooring is the water point. However it’s not a particularly salubrious area so he’s welcome to the mooring! I was rather disappointed with the long section of canal between Hay Mills and Catherine de Barnes. It needs dredging and is full of rubbish which required me to go down the weed hatch. I had anticipated a wide deep canal and got the reverse! This part of the canal is mostly residential on both sides and after seeing all the litter when walking into Small Heath yesterday I should have anticipated the reality of the canal. I don’t think we’ll use this route again, unless it gets dredged. 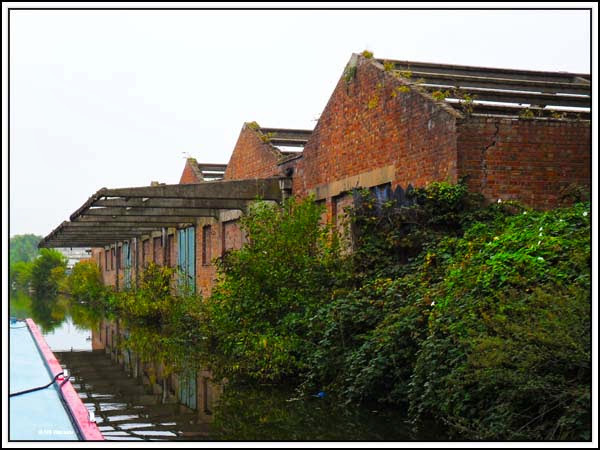 Jan noticed the derelict warehouse beside the canal and I mentioned it was probably “modern” as the veranda supports were made of concrete. My guess is it was built around the turn of the 20th Century. 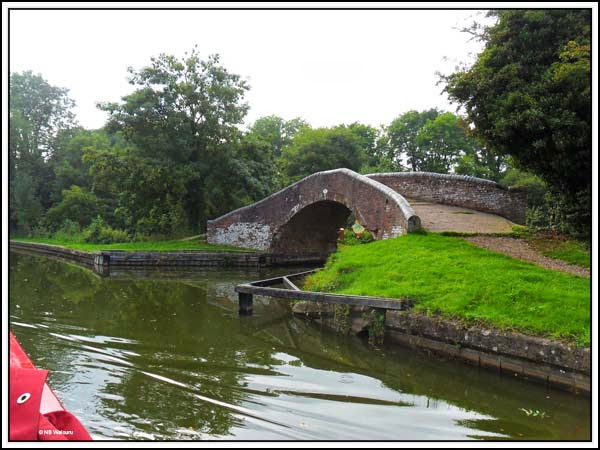 The canal improved from Catherine de Barnes and became more rural. We found a good mooring spot for lunch sharing it with two other boats. 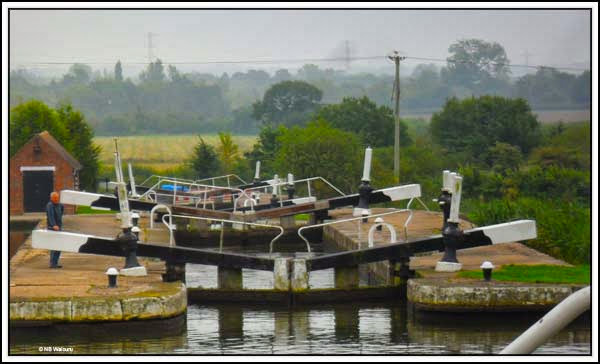 After several months of narrow locks we were both reminded how much additional work is required using wide locks. There are five in the Knowle Flight and they were all against us. I would go forward and set up the next lock whilst Jan stayed with Waiouru. 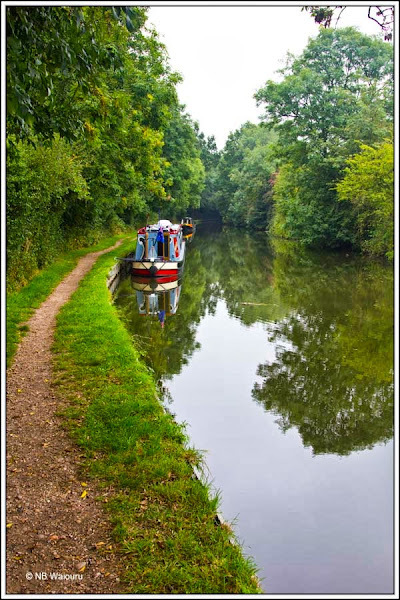 On my return, she would work the boat down to the next lock. Each paddle mechanism requires 25 turns and they are rather heavy until the 20th turn. We’ve done this flight on two previous occasions but were fortunate to share the locks. No such luck today! 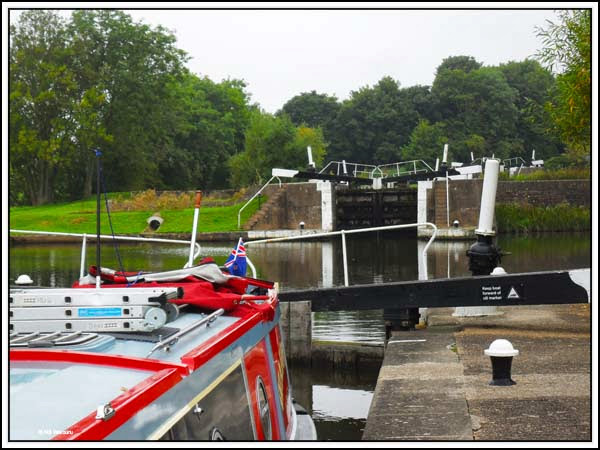 We only used the paddles on one side of the lock but despite that they filled and emptied quite quickly. 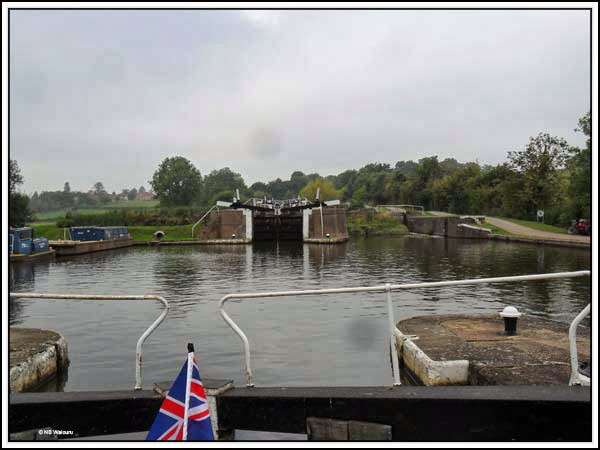 Fortunately they were the only locks on todays cruising plan. 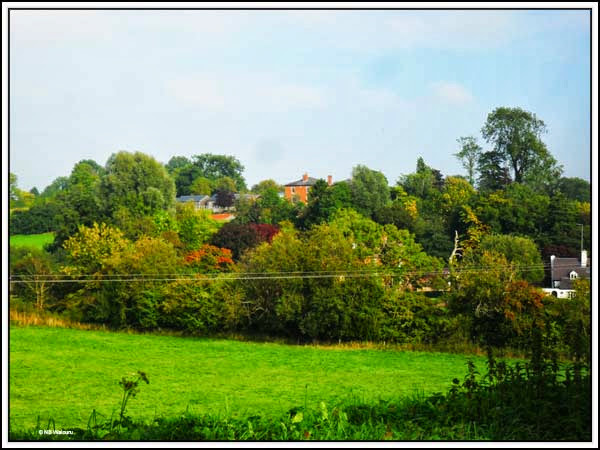 In contrast to the suburbs, the centre of Birmingham was interesting, but we like the countryside even more. 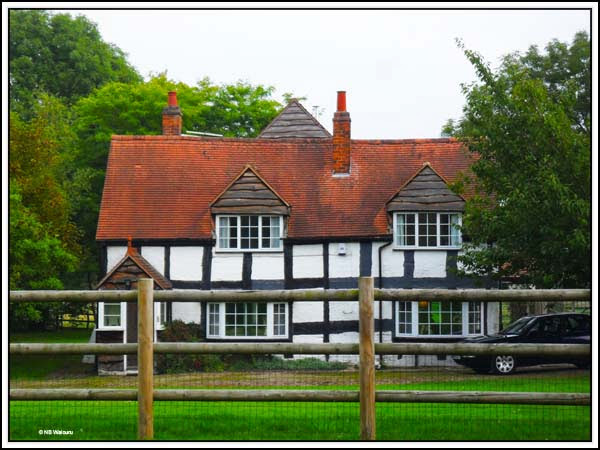 Whilst cruising Jan noticed another house she has added to our “I like” list. Kingswood Junction came and went. 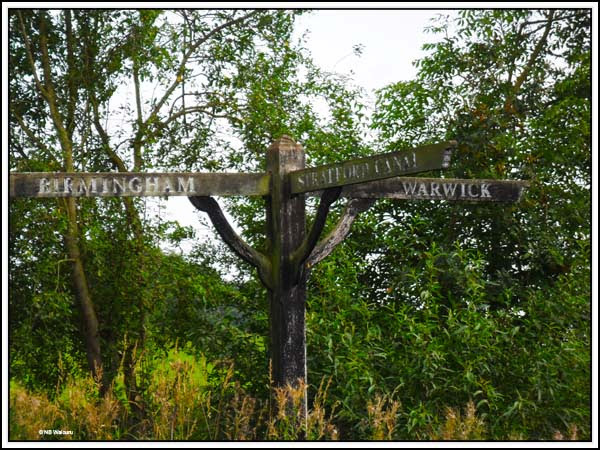 Last time we were on the Grand Union we turned right here and went up the Stratford on Avon Canal to King’s Norton Junction. Today we carried straight on. 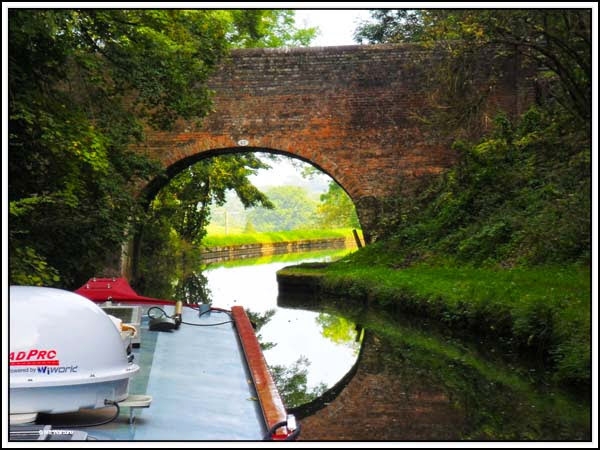 There must be hundreds of bridge holes on the network but when I saw this one I asked Jan to take a photo as there was a perfect reflection of the arch in the water. Unfortunately by the time we had managed to get out the camera Waiouru was too close to the bridge. 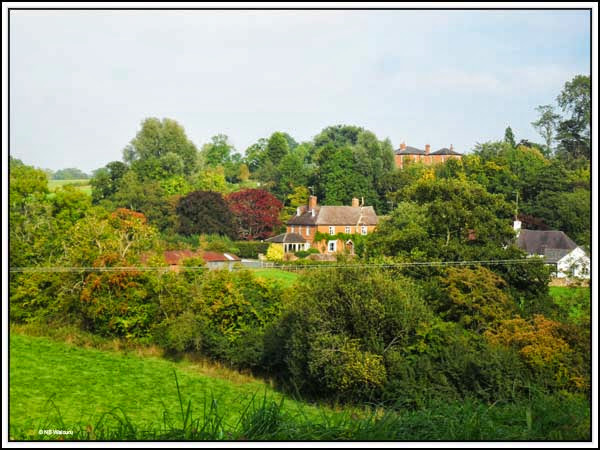 The countryside around here is rather attractive and Jan managed a couple of photos before we stopped for the day. If I wasn’t feeling lazy tired, I’d probably airbrush out the powerlines from both photos! So we are now moored somewhere just north of the Hatton Flight. We have the dot in the sky and Freeview and are spoilt for choice. 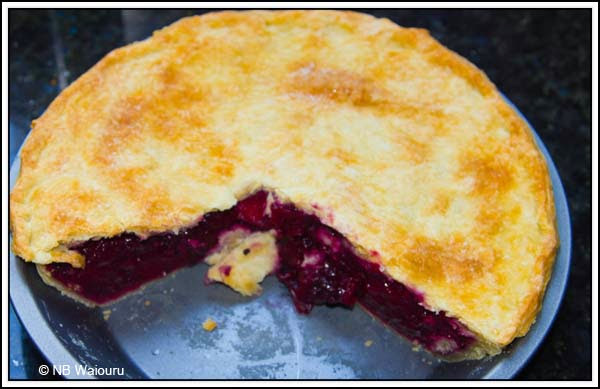 For tonight’s dinner Jan Is cooking the last of the garlic sausages she purchased from the butcher in Audlem and for dessert she has made a pie from blackberries and apples foraged from the hedgerows. After your explanation it is no wonder we did not recognise the Birmingham Library. It did not look like either the old or new when we were there in 2008. Spent hours in there waiting for a computer to get free internet. The concourse by the Town Hall used to have a plastic sculpture - I believe someone melted it.